On the afternoon of Sunday 2 July 2017, a memorial was held for the late Ned Iceton on the walkway dedicated to his mother, Ailsa Iceton (commemorating her extensive community service in Gunnedah). 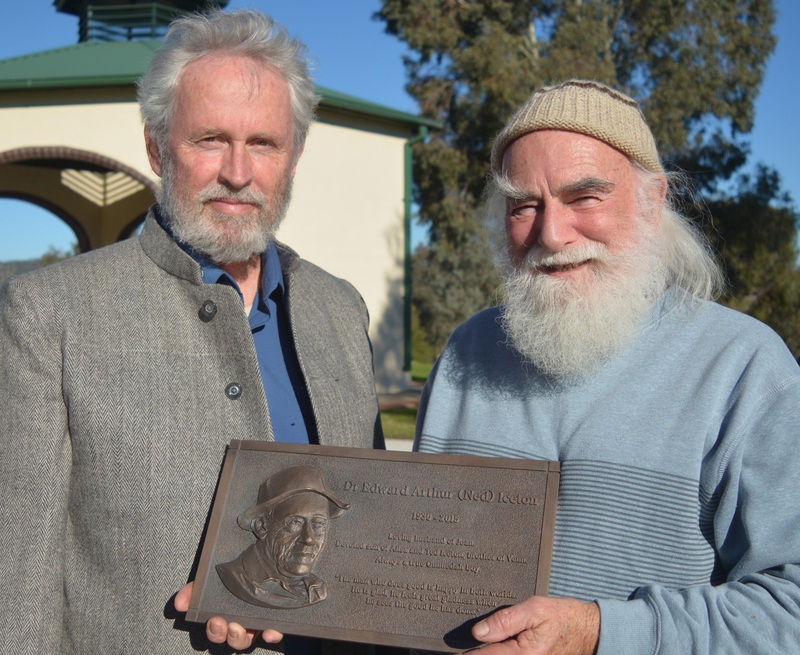 The Gunnedah Shire Council approved the memorial and the placement of a plaque along the walkway, in honour of Ned's service to social development and his continuation of the spirit of his mother. It was also thanks to the support of the Gunnedah Urban Landcare Group and the Rotary Club of Gunnedah West who share the development and maintenance of the Ailsa Iceton Walkway with the Gunnedah Shire Council, and especially to the indispensable assistance and support of Owen Hasler, ex-mayor of Gunnedah, that the memorial was finally able to proceed. The afternoon was spectacularly beautiful, overlooking the town on a warm, calm and clear winter's day. Special thanks to from the local indigenous community who conducted the Welcome to Country. Ned would have been exceedingly pleased at the event, and the gathering of his close friends to honour his life. A plaque by Carl Merten with a bas-relief of Ned and words of remembrance, was later installed on a large rock previously brought to the Walkway by Owen Hasler. 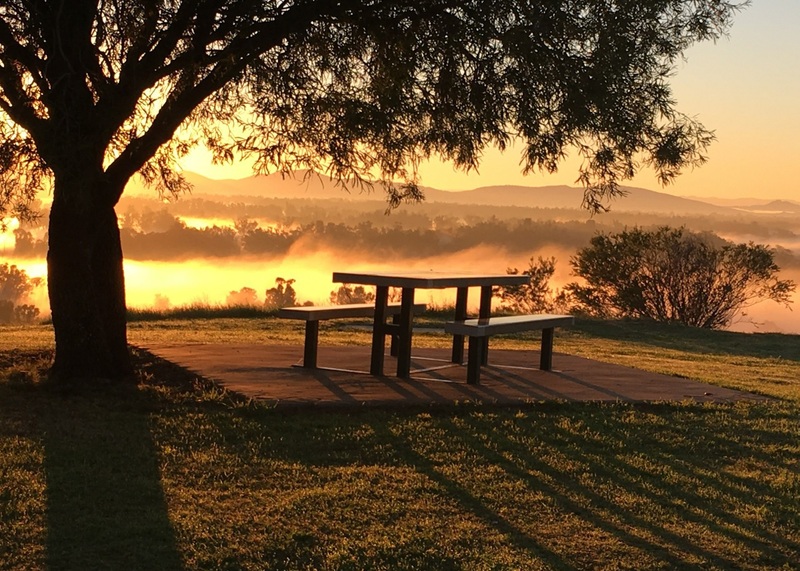 It is viewable to all those who visit the Walkway on the hill overlooking Gunnedah, which is highly recommended for anyone visiting the town.